I particularly like buying books which can be used across a wide range of ages and stages in different ways and Rosie’s Hat is such a book. Children who are two years old plus will enjoy the story and illustrations. There is much to discuss and point out on as you read the story on each page. 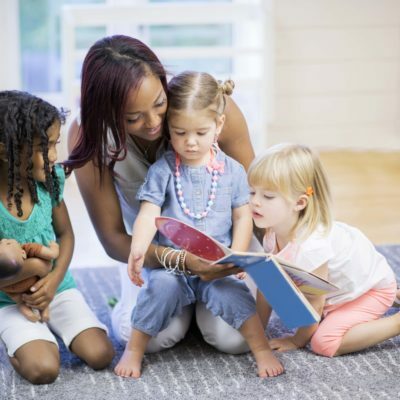 The more times they hear the story the more likely children will be able to repeat the refrains which are different on each page, and which relate to the illustrations such as “Patter,Patter!Squeak,Squeak!” Young children love repetition and rhyme. Children who are three plus will be able to “read” the story because of the repeated refrains. Which they will get to know off by heart. The book can be picked up again when children are learning to read at school. The sentences are short and simple. The illustrations on the pages offer clues to the text, making this a good book for early readers. It is a beautifully illustrated book. Each page has scenic realistic watercolour images that for me are nostalgic and contain everything that was good about “old fashioned” illustration. 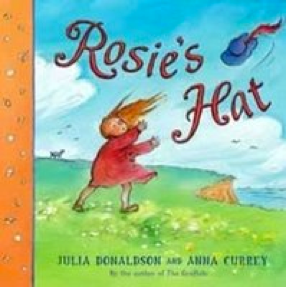 The story is simple- it tells the story of Rosie’s hat that blows off her head and eventually leads to the rescue of a cat from a tree. I am unsure that two year olds will understand the whole story or get its subtleties but they will enjoy it as much as a four or five-year-old who will. At the moment, this is my two-year-old granddaughter’s favourite book. Rod Campbell is a Scottish author who has written and illustrated many great books for children of this age group. Farm Babies is a touch and feel book which takes children on an exciting journey around the farm yard. When reading touch and feel books you would normally expect interesting material for children to explore along the way and this book does not disappoint. 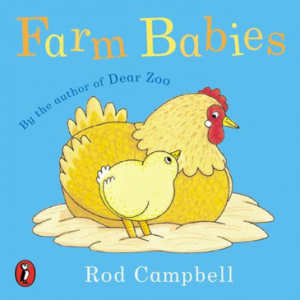 Not only does Campbell’s book encourage first hand interaction with the farm animals we meet, but it also captures children’s attention through its open narrative. Children are encouraged to count the animals they meet along the way, stretching and challenging the slightly older children. So, young babies can enjoy the textures, the bright colours and beautiful, simple illustrations, slightly older children can count the animals and new readers can read the story thanks to the clear clues in the illustrations. The book encourages dialogue by hinting at what might be coming on the next page, allowing the reader to ask questions and reflect with the listener. This is one of my all-time favourite books for young children. I have not read it to a young child yet who has not enjoyed it as much as I do. I have often wondered if the children enjoy it because I enjoy reading it so much, but our team at The Wandsworth Preschool all tell me that it’s one of their all-time favourites too. Helen Oxenbury is a renowned British children’s author. This book works because of its simplicity both in terms of the text and the illustrations. 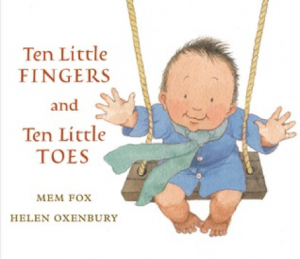 It tells the story of babies born around the world who all are the same in having “as everyone knows ten little fingers and ten little toes”. The repetition of this refrain all through the book captivates young children who respond to familiar experiences and words. The book is a happy one with positive messages and a surprise at the end with the introduction of “my” baby. The book is available as a board book making it even more suitable for reading and enjoying with young children.